Meha, the white rhino orphan, was having surgery in Mpumalanga, South Africa, when the sedative caused a serious reaction. 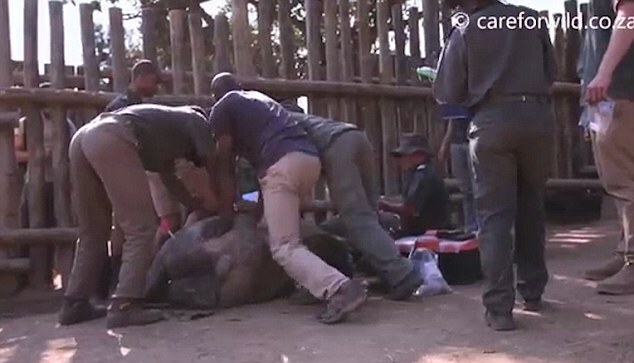 The group of vets and wildlife officers sprung into action when the rhino's heartbeat started plunging. 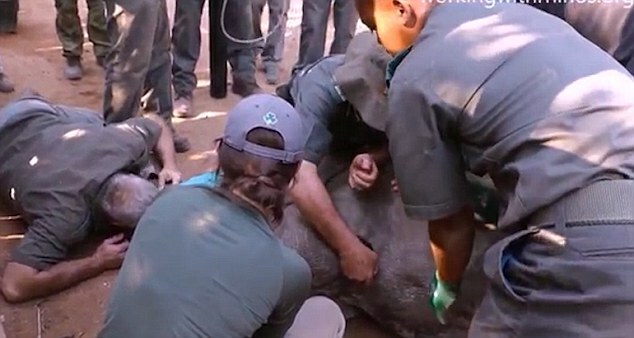 Dramatic video footage of the resuscitation was captured showing the power required to get the rhino's heart beating again. As four men perform chest compressions on the animal, someone can be heard shouting, 'oxygen, we need oxygen'. Care for Wild Rhino Sanctuary co-founder, Chris de Bruno Austin, then lies on the floor next to Meha and breaths into her nose. After several desperate minutes, the rhino finally started to breath again on her own. Meha made a full recovery after the scare, according to the sanctuary. 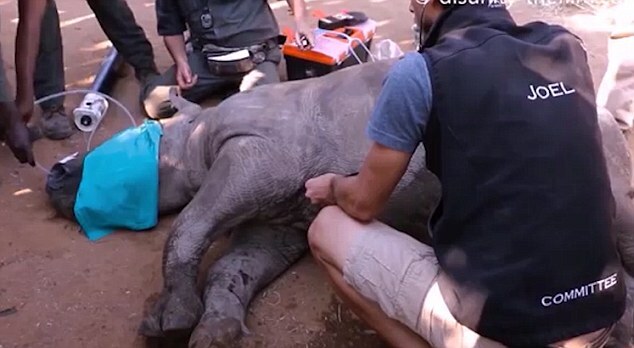 Responses to "South African Wildlife Sanctuary Save 900-Pound Baby Rhino With CPR"
The first thing that is said on any show relating to rhinos is that they cannot tolerate being darted. half dye when they are darted for relocation.